ZebraWear is your source for lacrosse referee clothing, gear and accessories. We offer high quality products at no nonsense prices. 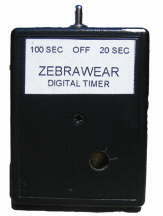 ZebraWear is owned and operated by Greg Simon and his family. Since Simo’s passing, his wife Heidi and daughter Macquarie are carrying on the legacy he leaves behind. They continue to serve the lacrosse community as Greg did, by keeping the spirit of the game in mind and implementing his green thinking and “no worries” philosophies into our products and customer service. Lacrosse continues to be the fastest growing sport around as well as on two feet. As the sport grows, we aim to keep the third team on the field well-trained and looking sharp. Designed by a lacrosse ref for lacrosse refs! We love getting feedback from our customers to know what you value and how we can improve. Please visit our Facebook page to leave your comments. Other referees especially like to know they can count on a small business like us to ship quickly and stand behind our products. In Simo’s memory, we strive with every order to provide his infamous “no worries” customer service.